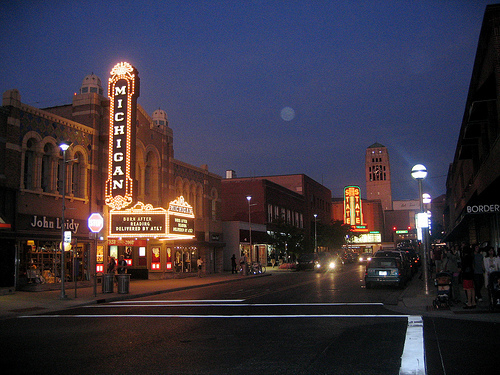 Ann Arbor is a great place to call home. Fantastic local restaurants and numerous community events, there is never a dull moment in this famous city. With a population of 116,121 and being home to The University of Michigan, Ann Arbor is full of diversity and new opportunities. This amazing city has been voted one of the best places to live, retire, work, and eat by several different surveys. Ann Arbor schools are given an 8 out of 10 rating from greatschools.org. Niche gives Ann Arbor an A+ rating as well. With 32 schools and over 16,000 students, your child will be able to fid a perfect fit in this great community. Click this link to read more about Ann Arbor Schools. Ann Arbor has almost any food place you can think of! In the mood for Fillet Mignon or New York strip steak? The Chop House Ann Arbor has it! Or how about a delicious, well put-together deli sandwich from Zingerman's Deli? You can also stop by Afternoon Delight to enjoy a nice brunch! How about a burger from Elevation Burger, one of the best burger places around! See nothing that appeals to you? Check out this website, no doubt you'll find something!